An important club meeting will take place at the clubhouse on Wednesday, January 15, at 8pm This meeting is open to anyone from the area who has ideas, thoughts, plans for the future development of our club. We are required to put in place a five year plan for future development, and this is the first phase in the consultation process. As stakeholders, you are earnestly requested to attend and engage in the debate. The club is also celebrating 125 years this year and again any thoughts and ideas, on how best to celebrate this milestone would be most welcome at this meeting. The club intends running a child protection course in the very near future. All team managers, and anyone assisting with underage teams (children up to 18 years) boys or girls are required to undertake this course. The course can be undertaken in the clubhouse, provided of course there are sufficient numbers. All new coaches, and anyone whose certificate has expired(they are valid for 5 years) must undergo this course. 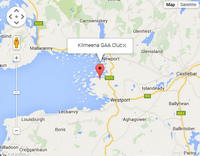 If interested please forward your name to Trish on 086 8281455. Foundation Level; Monday 10/2/14 and Wednesday 12/2/14 at 7pm each evening, and a second course for West Clubs on Monday 17/2/14 and Wednesday 19/2/14 at 7pm. Cost is €20. Award 1 Football; suitable for persons who have completed the foundation course, 4 evening sessions, on 24th and 26th February and the 3rd and the 5th of March at 7pm each evening. Cost is €50. 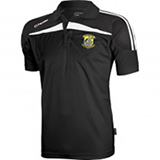 Award 1 (add on Modules)adult football, one evening session 10/3/14 at 7pm Cost is €20 Euro. Award 1 Child; four evening sessions as follows January 20, 22, 27 and 29t at 7pm each evening. Cost €50. Again it is imperative that all coaches have completed the foundation level course, and that those coaches with the Foundation course, undertake the Level 1. This is a great opportunity for coaches within the club to up skill on best coaching techniques, which will ultimately be of benefit to club and coach. 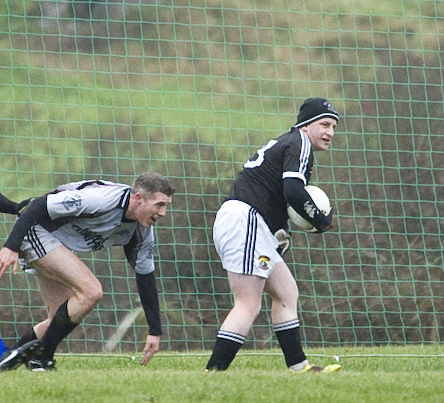 The Annual Charity Game took place today the 29th of December in St Brendan's G.A.A grounds Kilmeena. This game was a contest within the club between the over 30's and the under 30's. 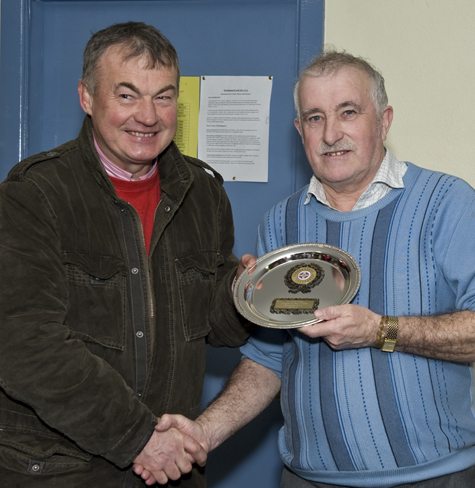 At stake, was the Billy Fahy memorial Trophy, kindly sponsored by the Fahy families, commemorating the memory of a stalwart club man of yesteryear, and an excellent past player Billy Fahy, who sadly passed to his eternal reward during the year. 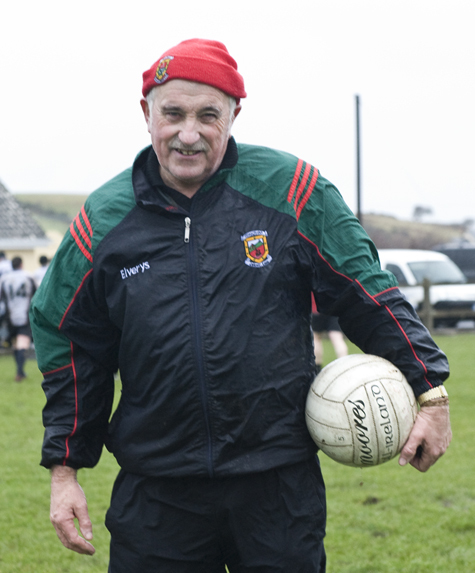 Billy lined out for his club and County on many occasions. In excess of 60 players togged out and braved the elements providing the very large attendance with a tough hard fought contest in trying conditions. In the end, the wily old guns outfoxed the under 30's to win on a scoreline of 1 – 06 to 0 – 07pts. This is the eighth year that this competition has taken place and has now firmly established itself as one of the major event on the clubs annual social calendar. The real winner of course, as a result of the endeavours of all the players and the spectators, was the club's charitable fund. This year the proceeds from the match went for the benefit of Michael Browne. Michael was seriously injured in an accident earlier this year in England, and it is terrific that the G.A.A club, parish community can come together to help alleviate some of Michael's financial burden at this crucial time. As Chairman of the club, I wish to thank sincerely all the players who togged out today, all the spectators who turned out and contributed so generously to the charity fund. The ladies who provided much needed sustenance in the club house following the match. The Fahy Families, and those who recorded the event for future bragging rights. Lastly but by no means least, the organisers of the event, and everyone else whose help ensured that the event ran smoothly ensuring its success. The "Over 30's" who would ever think! "Where it all began". 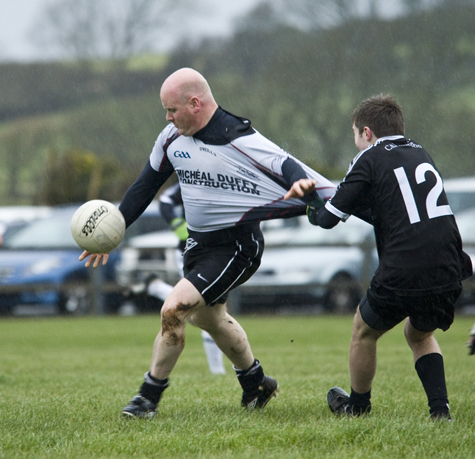 Recently retired following his forty years service as a GAA referee, Willie returns to where he made his debut, refereeing a local underage club match, now returning to complete his career refereeing the Club's annual charity match. 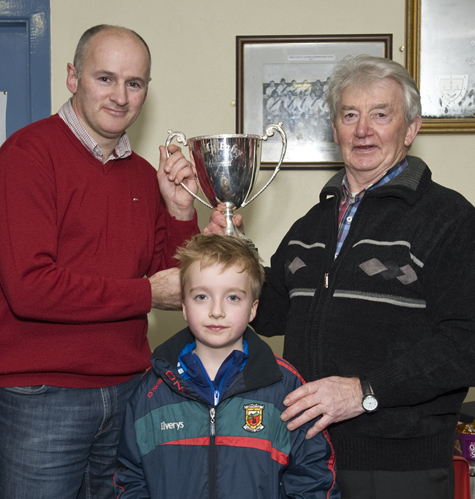 Tommy Fahy presenting the Billy Fahy memorial cup to the winning Captain Pat Mulchrone: Also included in the photo is Billy and Tommy's grandson Odhran Tiernan.